Moaar Canadian bands. It may be a bit of a stretch to post this here, since they're pretty metal-core'ie, but I think they definitely have some emo influences. Their last.fm categorizes them as being a mix of "Four Hundred Years, Coalesce, and Anasarca," so maybe some relevance. 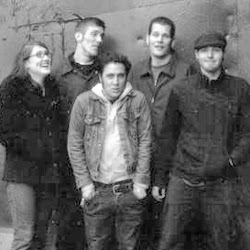 From Toronto, they broke up in 2004 and formed Katja, which I will also post at some time. I've never seen these tracks anywhere else, so I figured maybe someone might want them. The Real Issue Is Where Are the Sluts And How Do We Get There?